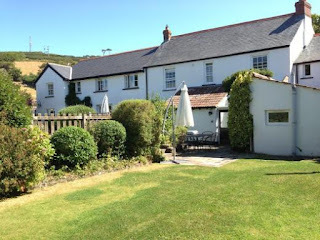 Croyde Cottage is a 17th Century Grade II Listed cottage in the charming village of Croyde, Devon. 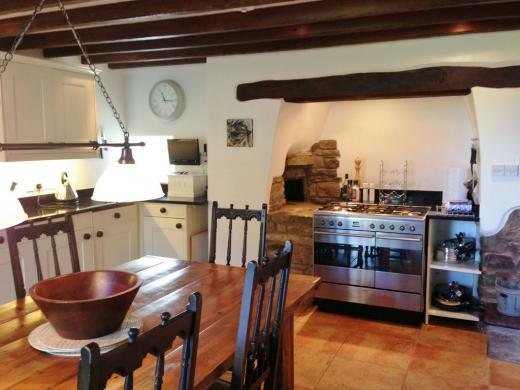 The charming cottage in Devon is the ideal base to explore the local area. It can be let as a whole to accommodate 14 people or as separate properties. The Farmhouse sleeps 6, The Barn sleeps 6 and The Granary sleeps 2. Located in the centre of Croyde, the cottage is only a 5 minute walk to local amenities such as shops, pubs, restaurants and surf shops. The beach is only a 10 minute walk away as well. Apart from Croyde beach there are three other sandy beaches to visit. Saunton Sands, Putsborough and Woolacombe Bay are perfect for surfing, sunbathing, kite flying and beachcombing. The National Trust coastline and the Tarka Trail are ideal for walkers and further afield in Barnstaple you can go shopping or visit the charming seaport.